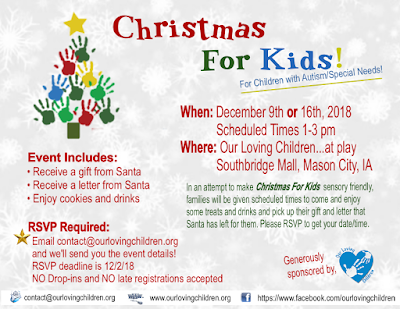 See complete list of events at the bottom of this page! 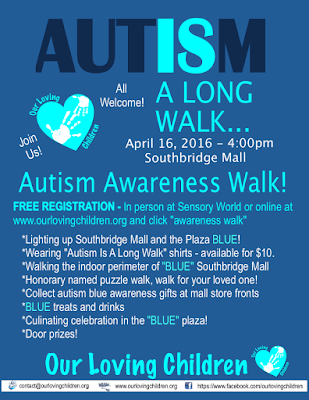 Light it up BLUE in April for Autism Awareness Month! 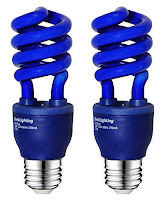 Pick your Free BLUE spiral CFL fluorescent light bulb at OLC...at play at Southbridge Mall 1pm-4pm any Saturday through March31st! 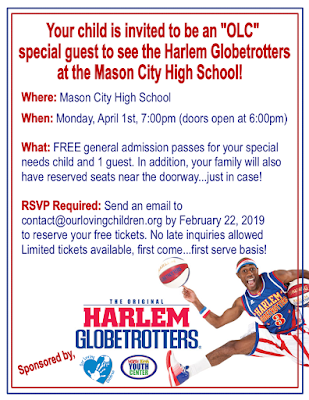 Join us to watch the Harlem Globetrotters at the Mason City High School on Monday, April 1st at 7:00pm! 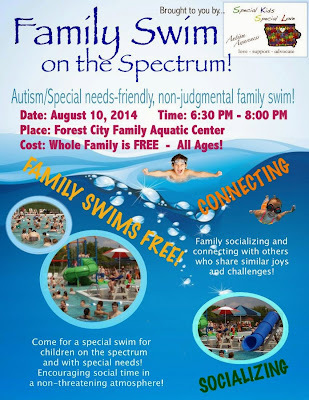 FREE general admission tickets for your special needs child and an additional family member. We will also have reserved seats near the doorway...just in case! 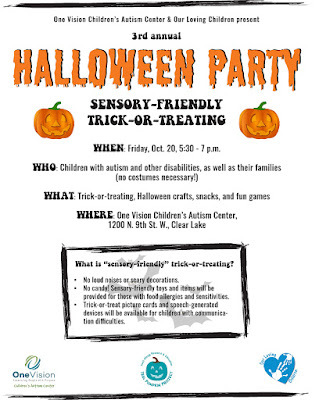 Halloween Event - October 2017! 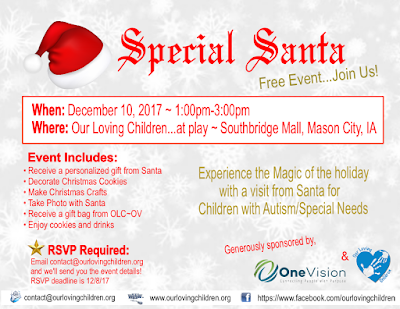 Fall Event - September 2017! 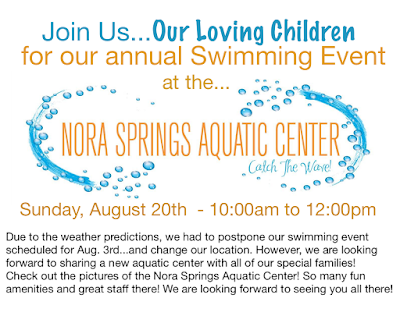 Back to School Swimming Event - August 2017! 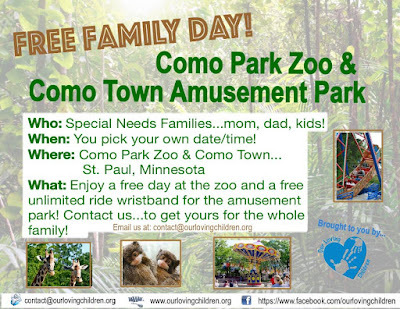 Como Zoo Event Summer 2017! 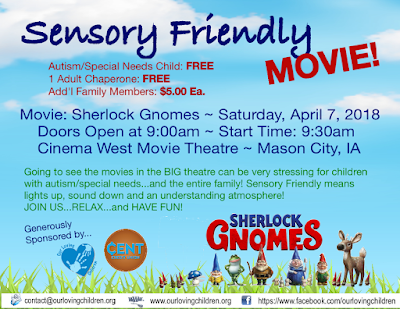 Sensory Friendly Movie April 2017! 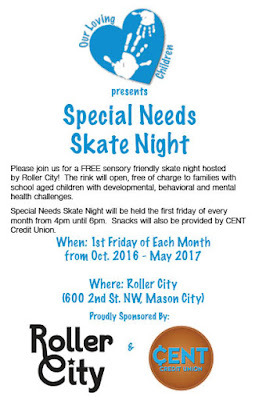 Roller City Event...October 2016-May 2017! 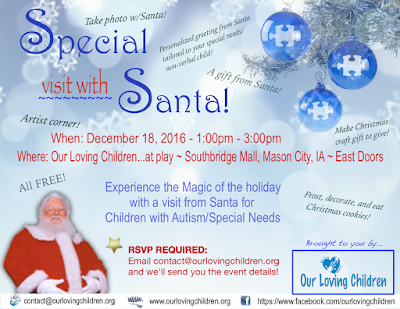 December Community Event...Special Santa at Sensory World! November Community Event...Inflatables at Roller City! 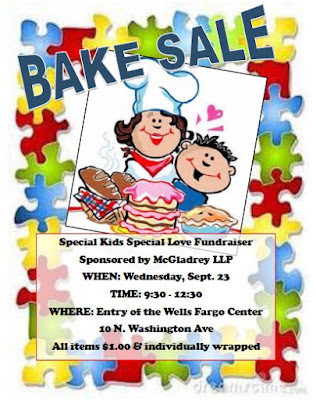 SEPTEMBER Community Event...OLC/McGladrey Bake Sale for special needs! 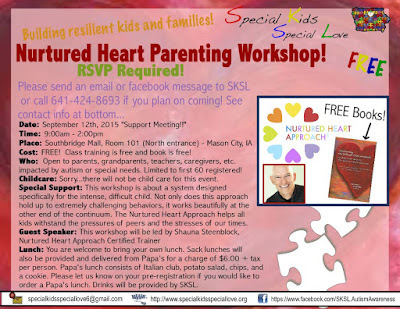 SEPTEMBER Community Event...Nurtured Heart Training! AUGUST Community Event...National Night Out! JULY 2015...Make and Take "All Natural" Skin care products!! 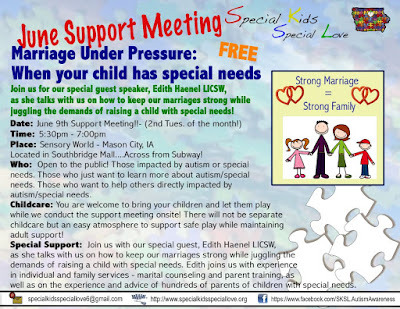 JUNE 2015...Marrage Under Pressure - When your child has special needs!! 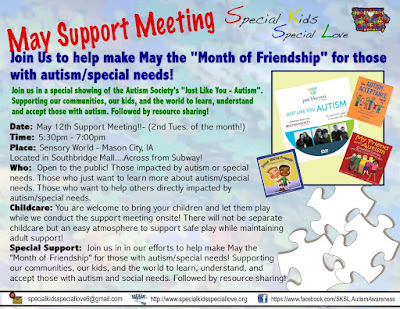 MAY 2015... Month of FRIENDSHIP!! April 2015...Special guests at the HARLEM GLOBETROTTERS!! March 2015...SPA NIGHT...A night of pampering! 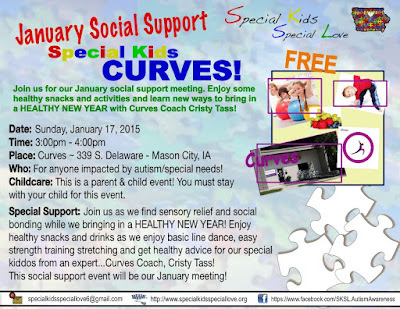 January 2015...Join us in making Sensory World exactly what you need! 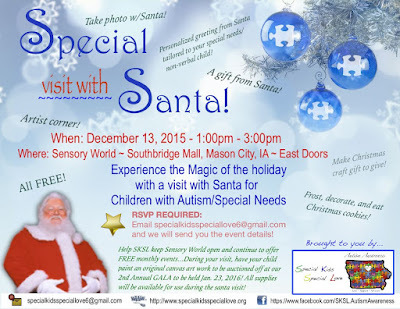 DECEMBER 2014...SPECIAL SANTA at our NEW SENSORY WORLD!!! November 2014 Support...Gemiini - Discrete Video Modeling! 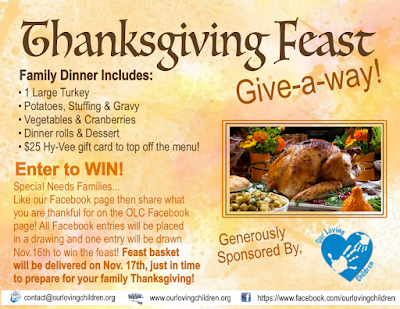 November 2014 Support...Family Dining on the Spectrum! 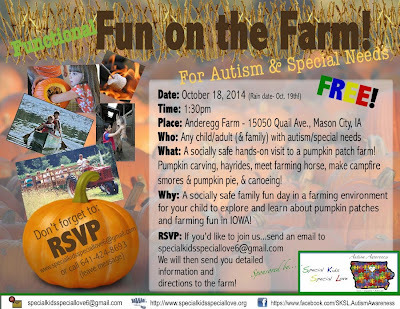 October 2014 Support...Making Personalized Brochures! 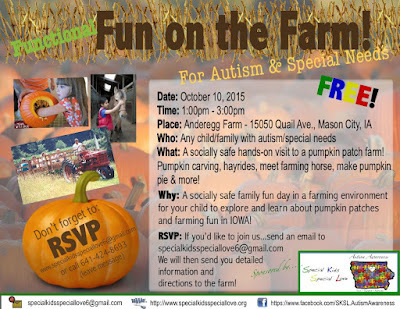 October 2014 Functional Fun on the Farm! 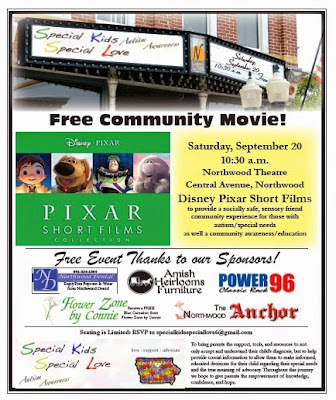 September 2014 - Socially Safe Movie at Northwood Theatre! 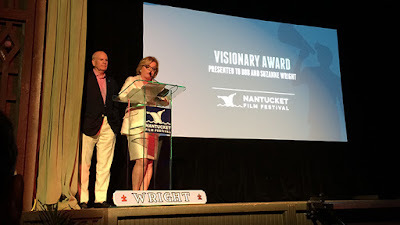 September 2014 - Life Connections! 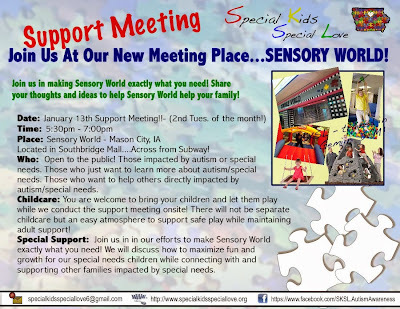 August 2014 - Social Skills Support!! 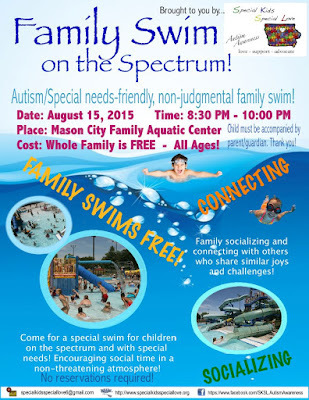 Family Swim on the Spectrum!! What a great showing of support and spreading of AUTISM AWARENESS! We, Our Loving Children, are proud to be a part of a this community of caring! What a great group of people! A HUGE THANK YOU to all of these great people!! 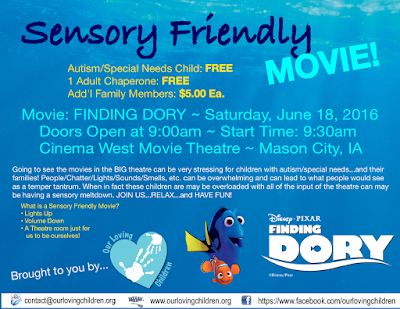 A special THANK YOU to Mason City Auto Body for sponsoring Our Loving Children and Autism Awareness in the 2014 Band Festival Parade! 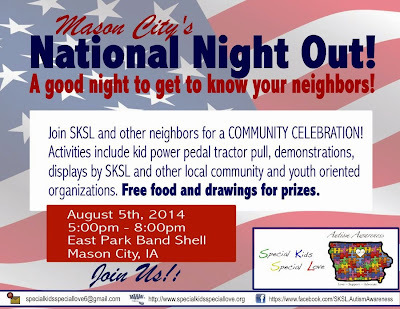 August 2014 - National Night Out!! 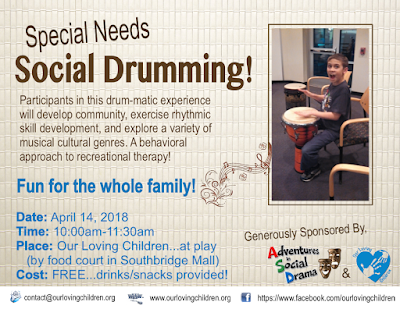 Diamond Jo's Arch Allies Concert for Autism Awareness! 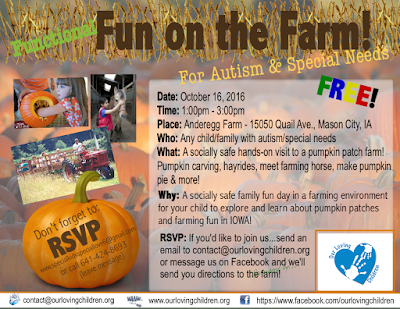 Barnyard Buddies ~ Farm Event!! A big thank you to Taylor for being in inspiration to us! 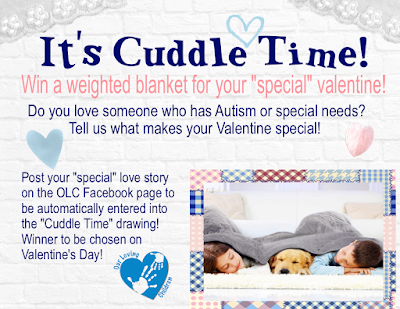 We hope you enjoy your new Autism Build-A-Bear! And we hope mom enjoys her new puzzle necklace! Blessings!! 5. Back to School Fair! 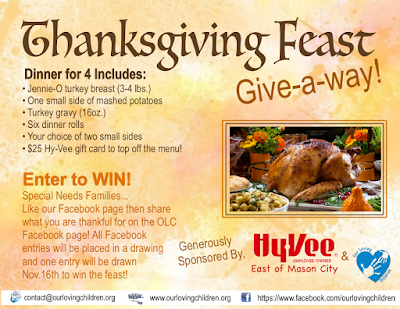 Many Thanks to our Special Guests for helping us...help the community! 6. 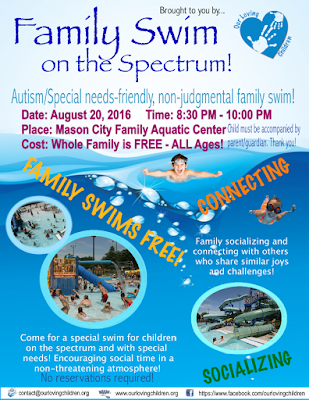 Swimming on the Spectrum! 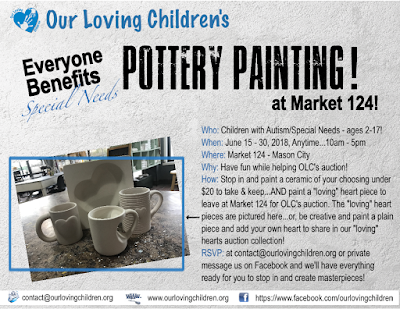 Clink on link to watch event!